Banquet Tables Pro® 6 foot color changing portable light up bar on wheels is 72" long x 18" depth, with an overall height of 42". The bar changes color with the click of a button. You have 20 standard colors to choose from, as well as programmable colors. Get where you need to go faster with our portable bar on wheels. 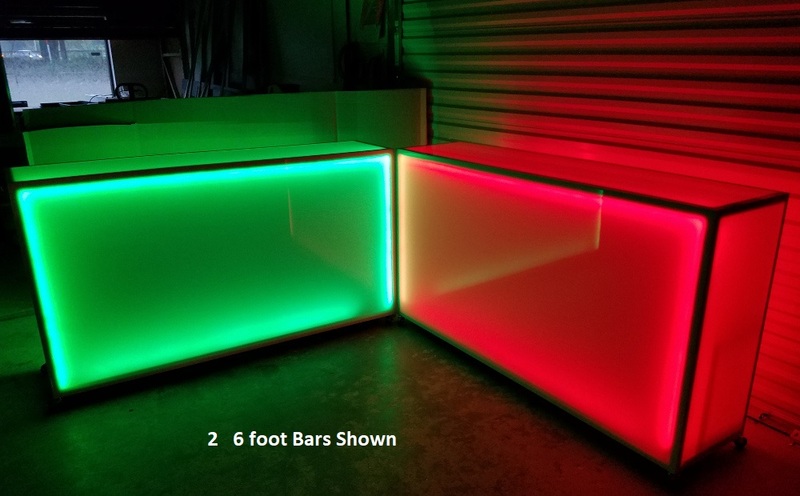 6 Foot rolling LED bar, remote control, and wall plug. Color Changes with the click of a button.